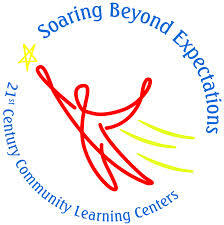 Barnstead was selected as a recipient of the 21st Century Community Learning Center project through the Department of Education to develop, plan, and implement an After School and Summer Learning Program for Elementary and Middle school youth grades K-8. The creation and development of the Barnstead Adventure Zone has been a collaborative effort through the Barnstead School District, The Advisory Board, Barnstead Parks and Recreation, the Oscar Foss Memorial Library, and other community based organizations. Through this project a variety of academic and homework support, health and nutrition education, fitness and wellness activities, skill development/enrichment programs and community service projects will be offered and made available to encourage, support, and foster the development of our youth academically, physically and socially. The intent of the Barnstead Adventure Zone is to provide a positive, safe, hands-on environment that serves to inspire, motivate, challenge, and stimulate our youth. It operates in tandem with Barnstead Elementary School which includes the Core Values of Safety, Respect, and Responsibility and all school rules apply. Barnstead Adventure Zone opened its doors to students on August 27, 2014. The program follows the school calendar and also runs on scheduled early release days. It will also offer a 4 week summer program in the month of July. BAZ is held at the Barnstead Elementary School, as well as the Barnstead Parks and Recreation Center and the Oscar Foss Memorial Library.